This is our 12th Christmas providing Casino table hire- each one busier than the one before. As a Christmas party idea we are a really “safe bet”. Many dates sell out- with so many of our customers returning year after year. Our Roulette and Blackjack tables are the most popular- easy games to learn and a great party idea to get everyone involved. 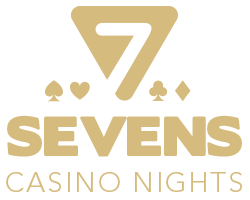 With all of the enjoyment of a casino without the possibility of losing a penny everyone is always very keen to play and we will teach everyone how to play, even the shy ones ! So many Christmas parties are predictable, even a little boring- our croupiers will entertain all ages and types to help keep a great mood in the room. Planning any party- particularly a company Christmas event is rarely easy- however we take care of pretty much everything, you just decide the venue and the timings and leave the work to us ! Great as an ice breaker, and as the evening progresses there can be friendly rivalry/ competition to be the overall chip winner at the end of play. Our new video from a recent event hopefully captures the relaxed informaility that our events can create. We have masses of glowing references from both customers and venues for your peace of mind and our friendly flexible approach to party entertainment sets the perfect tone. We can cater for all sizes of event- from a small family gathering up to a large corporate event for 400+ guests. We can even set up a casino at your office- just get buffet food ordered and you are ready to party- perhaps with our Vegas or Bond theming to set the scene !